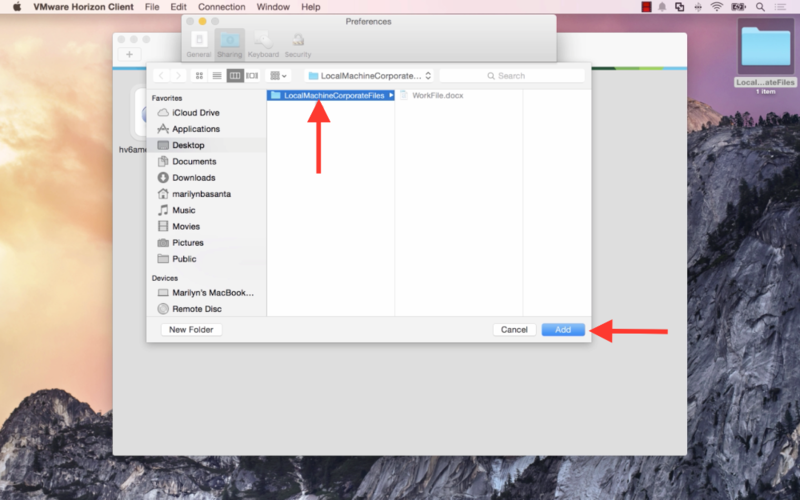 Create a folder on your device called LocalMachineCorporateFiles. 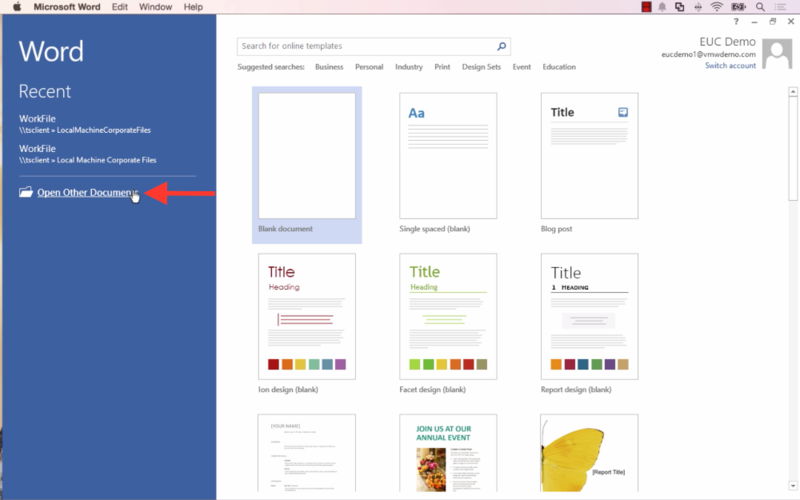 Place a new Microsoft Word Document in this folder called WorkFile.docx with suggested text. 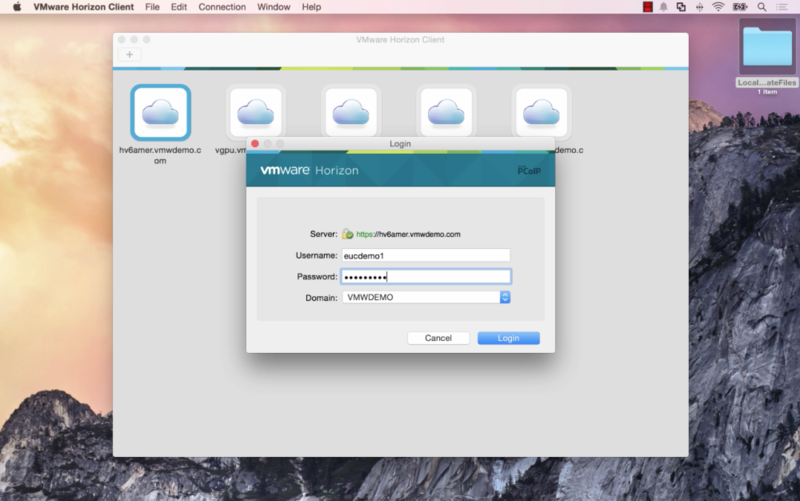 From the VMware Horizon Client, open your region Horizon instance. Close the Horizon Microsoft Word Remote App. 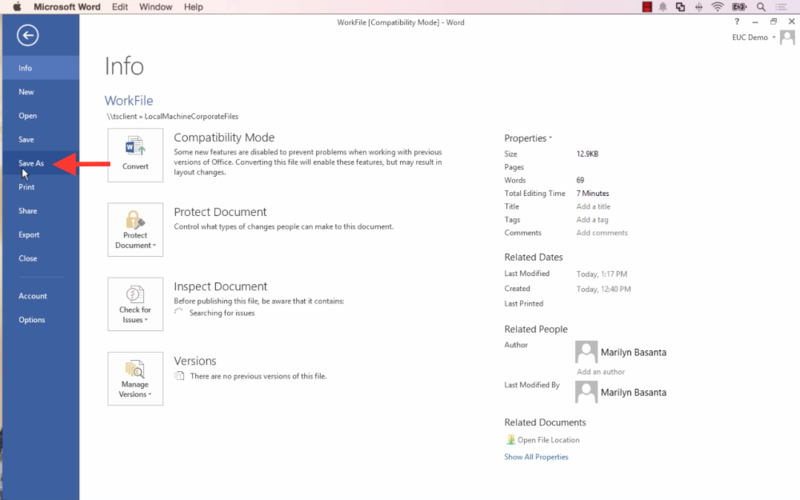 Open the WorkFiles.docx file with the local version of Microsoft Word. 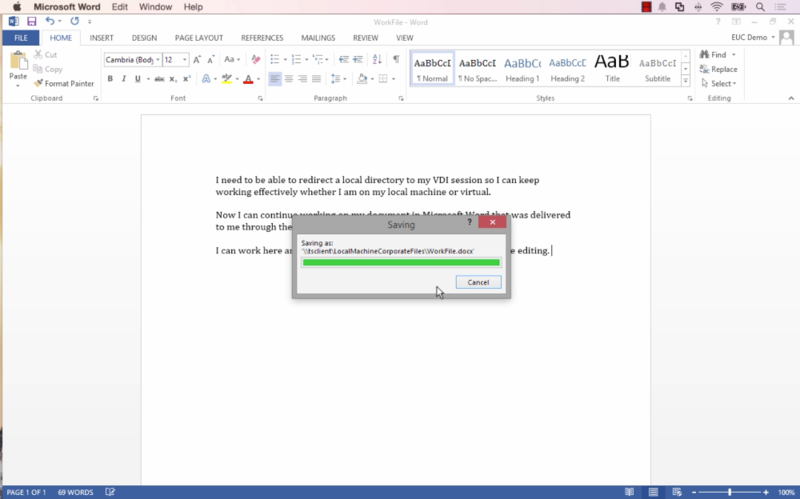 Microsoft Word Installed on your local machine. 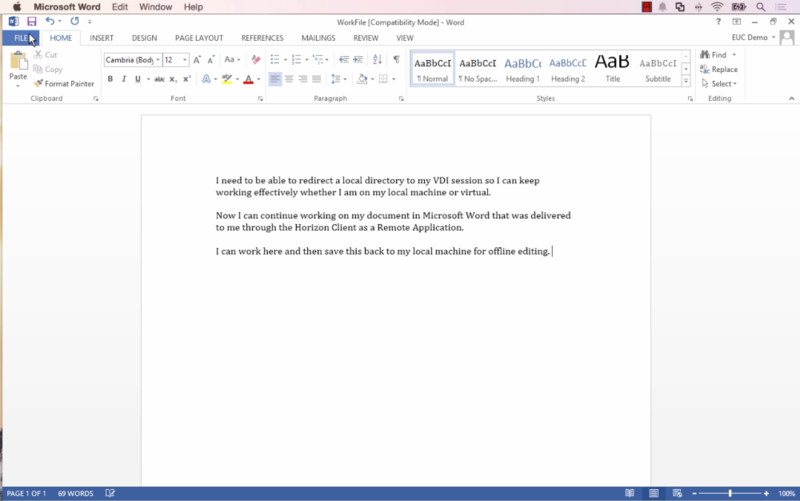 Inside the word document, type "I need to be able to redirect a local directory to my VDI session so I can keep working effectively whether I am on my local machine or virtual." Save the file and close Word. Click on VMware Horizon Client in the toolbar, and select "Preferences" from the dropdown menu. 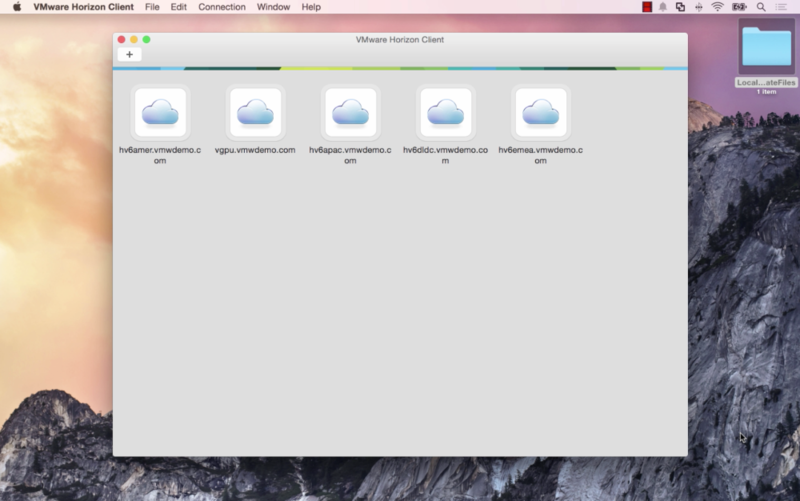 Under the Sharing section, select the + button to add a folder on your local machine. 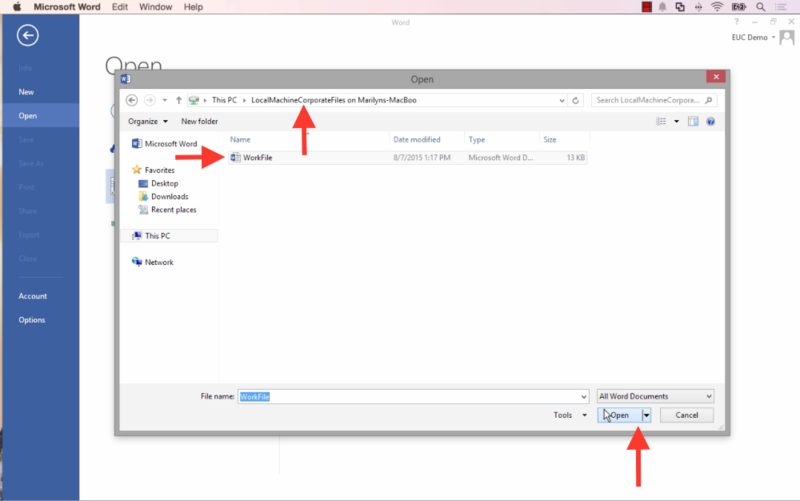 Find the folder you created called LocalMachineCorporateFiles, then click the "Add" button. 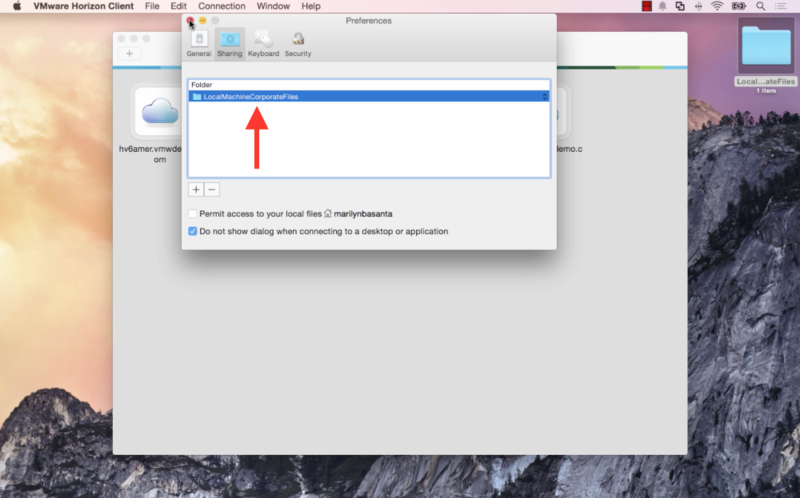 Close the preferences window by clicking on the red x. From the VMware Horizon Client, open your regions Horizon instance. 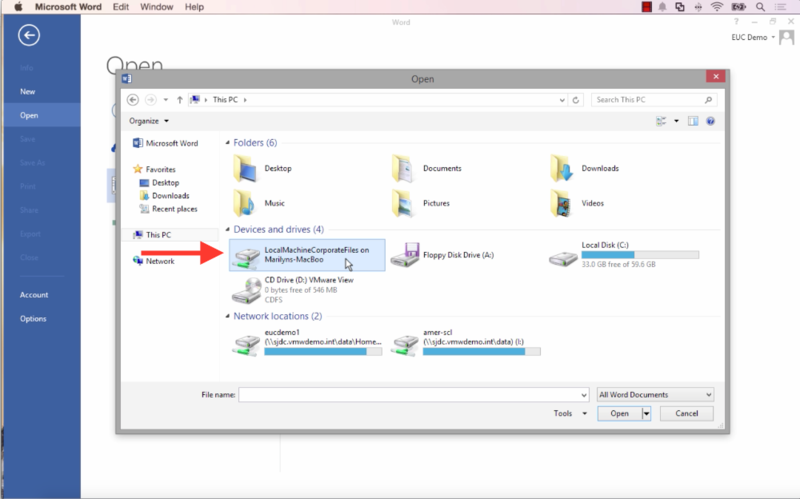 Open your regions RDS Remote Microsoft Word remote app. 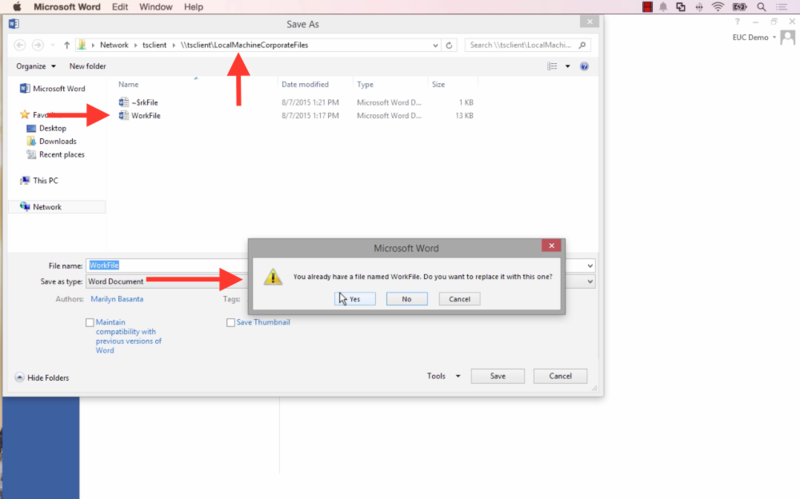 Click on Open, then select Computer, than click on the browse button. 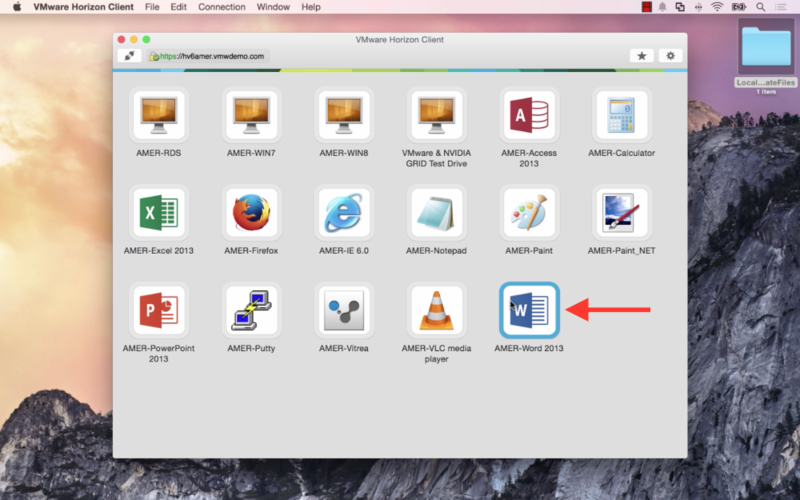 Navigate to the WorkFile.docx file in the folder previously created on the local machine. as a Remote Application. I can work here and then save this back to my local machine for offline editing." 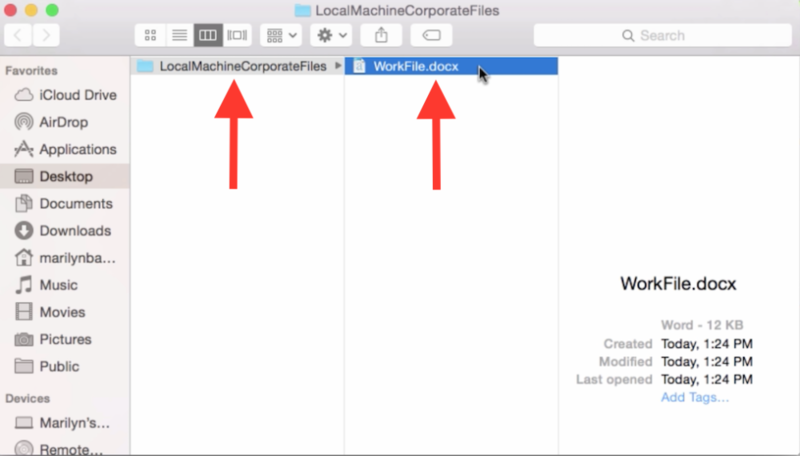 Navigate the the LocalMachineCorporateFiles folder and save as WorkFiles.docx, and click yes to replace. Microsoft Word Saves the changes. 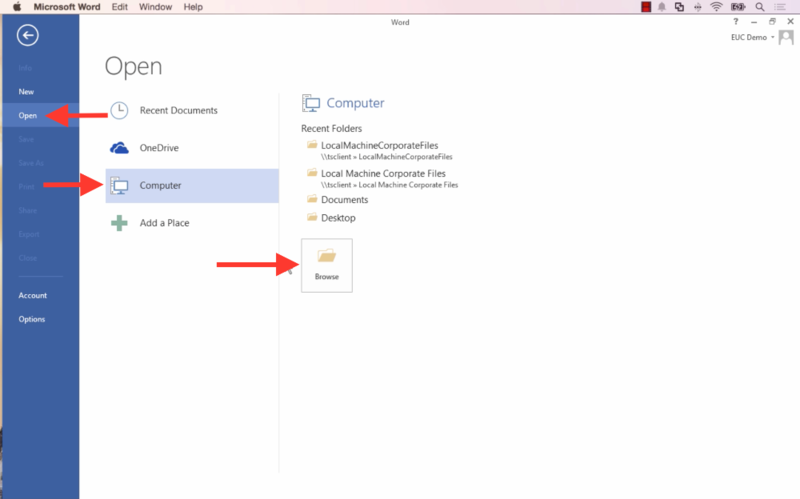 Navigate to the local WorkFiles.docx in the folder you created earlier and open it. Type "Now I am back in my local machine"
Created a folder on your device called LocalMachineCorporateFiles. 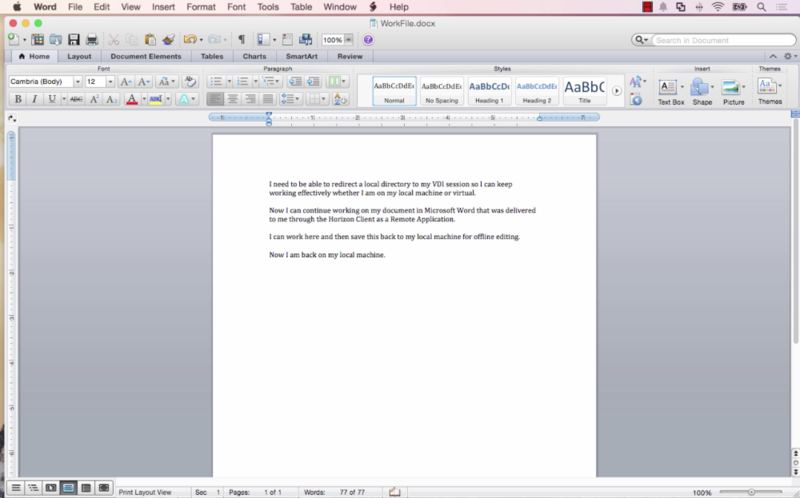 Placed a new Microsoft Word Document in this folder called WorkFile.docx with suggested text. From the VMware Horizon Client, opened your region Horizon instance. 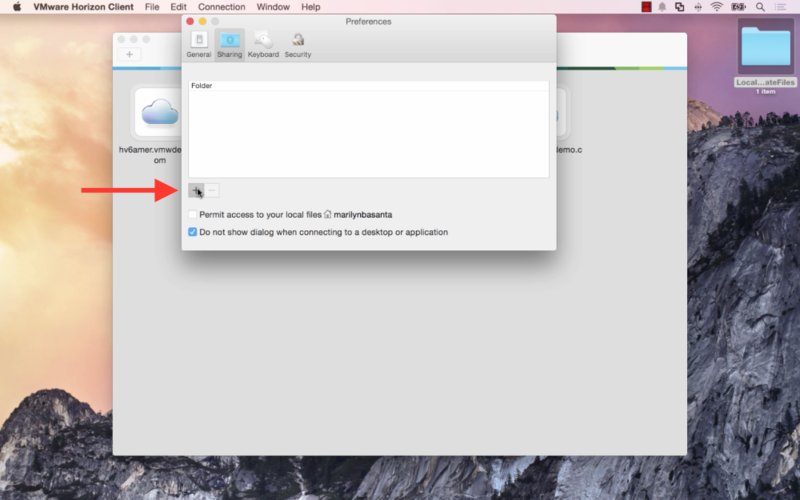 Closed the Horizon Microsoft Word Remote App. Opened the WorkFiles.docx file with the local version of Microsoft Word.